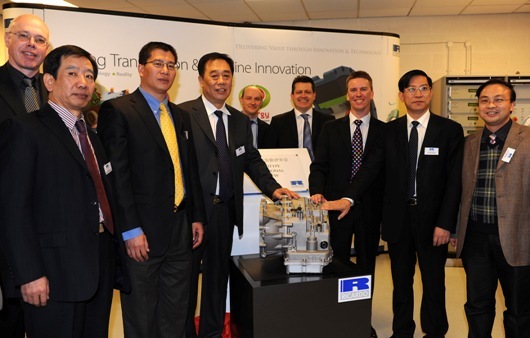 The partners in this collaborative project to develop a next-generation 8-speed automatic transmission system for Chinese and international markets, formally commenced testing today of the first prototype unit at Ricardo’s UK Midlands Technical Centre – only 7 months after starting the design work. The new front wheel drive 8AT transmission offers key advantages including a relatively simple arrangement utilising standard component design and manufacturing techniques, the potential for very good shift quality, a highly compact design package competitive with less well specified products, and flexibility for further adaptation for four-wheel drive or integration with hybrid powertrain systems. It uses a combination of epicyclic and parallel axis gearing in which three simple planetary gears are used together with a single brake and four clutch units. Ricardo and Weifang Shengrui signed a contract in June 2009 under which Ricardo became the development partner for this ‘industry-first’ product. The production version of the 8AT transmission is planned for manufacture in late 2011. 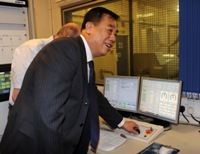 The formal ‘first spin’ ceremony for the initial prototypes took place at the Ricardo Midlands Technical Centre at Leamington Spa, UK, in the presence of members of the senior management teams of both Ricardo and Weifang Shengrui, as well as representatives of the Weifang regional government.